"The brand with TRADITIONS and SUSTAINABILITY at its heart"
London-based designer Ümran Aysan has launched her own brand that tackles her major artistic and ethical principles, namely the sustainability of the processes used in the fashion industry, and the risk of losing traditional methods of craftsmanship. Born and raised in Turkey, lives in the UK. Worked as a graphical designer for over ten years. Switched to fashion design and been a fashion designer for the last ten years. Graduated from Istituto Marangoni in London. Designed lingerie, nightwear, women’s leather handbags and accessories, and recently resort wear. Worked both full time and as a freelancer fashion designer and product developer - involved in full life- cycle of product development including sourcing, prototyping and manufacturing. However, the more she got involved in product development the more she started questioning the ethics of fashion manufacturing and fashion consumption. It eventually became apparent to her that this production and consumption cycle cannot be sustained neither socially nor environmentally. She had an irresistible urge to contribute to fixing this. 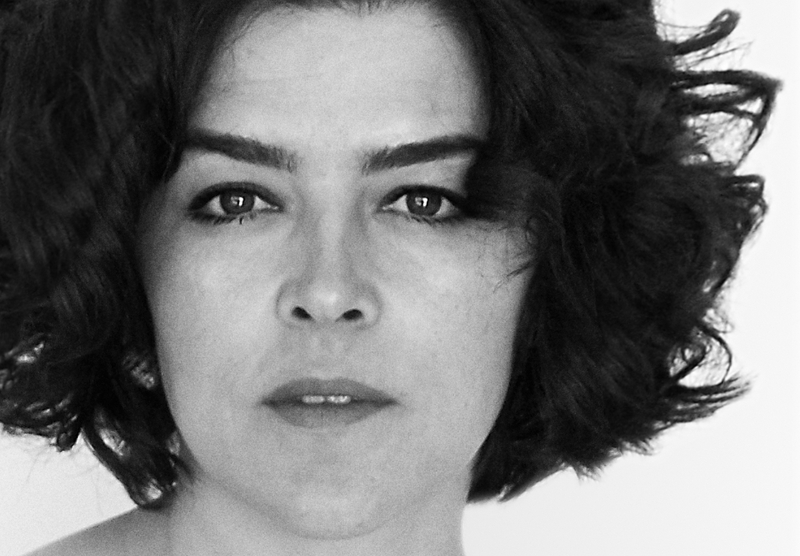 Ümran Aysan’s perception of self-identity as a world-citizen strongly reflects on her brand. Following Ümran’s personal obsession in making our planet a better place, the brand appreciates sustainability as implicated on all phases of her collections. In her quest towards a more humane world, she promotes ethical, artisanal work while creating her simple, yet elegant design. Ümran Aysan is a modern, ethical and luxury fashion brand that partners with global artisans to incorporate exquisitely handcrafted details and unexpected techniques into our collections - all sourced globally and made locally. Headquartered in the UK. The brand, was born out of the desire to create beautifully made, thoughtfully designed coastal clothes for women that endure the ebb and flow of trends. Environmentally sensitive fabrics and practices are utilized whenever possible and we continue to research ways to reduce our impact while maintaining the integrity of our designs. With its unique and extraordinary spirit, Caria reflects the typical beauty of the Aegean Region, where one can witness a dance show performed by white foam and blue sea before the evening wind takes the stage to gently caress bougainvilleas. The charming nature of Caria paved the way for Ümran Aysan’s same titled resort wear collection, which came out from the hands of a designer who completed her spiritual journey in the lands of Caria. Created for women who seek comfort in clothes every moment of the day, the eye-catching collection has a refined, simple, and timeless style. In order to give the deserved value to craftsmanship and help the artisans build a brighter future for their families, the collection is enriched with several artisan techniques. Not only are the fabrics used in the collection exquisite and comfortable, but also sustainable and environmentally-friendly. ÜMRAN AYSAN has been awarded the coveted Butterfly Mark, in recognition of her commitment towards social, environmental and philanthropic good. From protecting and nurturing traditional craftsmanship to ensuring the provision of materials from sustainably managed ecosystems, the Butterfly Mark offers wordless reassurance that Ümran Aysan is a luxury brand to trust. Positive Luxury "A piece in your wardrobe with a story for you, and the support of a way of life for the people that made it"
Diane Small, Eluxe Magazine "The eco-friendly fashion collection has an extraordinarily beautiful spirit ... wild, strong, natural, and above all, timeless"
Nataly Elbaz, Literally Natally "London-based designer is the epitome of ethical luxury: slow and conscious production of beautiful and refined garments, whilst preserving traditional craftsmanship"
Leotie Lovely "Ümran Aysan is amongst those unicorn-esque few, choosing to root consciousness into the core of her collections"
Natalie Kay Smith, Sustainably Chic "From kimono jackets to tailored shorts, this collection will easily give you a mini vaca daydream"
Positive Luxury "Umran Aysan's Resort Collection is defined by nonchalant luxury and ... is as ethical as it is beautiful"